In 1782, before Methodists had organized a formal church in America and before the end of the Revolutionary War, a building lot, Lot No. 2, was purchased in the new village of Bel Air by the Trustees for “the people called Methodists”. Sometime between 1782 and 1789, the first Methodist meeting house was constructed at what now is 20 N. Main Street. Nothing is known about the appearance of the first building except that, according to old tax records, it had no fireplace. Very likely, it was a simple structure without a steeple, bell, organ, cross or stained-glass windows, all of which were condemned as “relics of popery” by Francis Asbury, the first Methodist bishop. The Masonic Lodge and Church was constructed in 1830 on the site of the new courthouse extension west of the present courthouse. The Union Church, available to all denominations, was located on the ground floor of this two-story building. After the formation of the Methodist Protestant Church in 1828, there were two Methodist congregations in Bel Air. Both groups used the Masonic Lodge as a place of worship – the M.E. Church from 1830 until 1856 and the M.P. Church from 1830 until 1885. After worshipping in the Union Church at the Masonic Lodge for a quarter century, in 1856 the Methodist Episcopal Church built another structure on the original lot, Lot No. 2, at 20 N. Main Street in Bel Air. Little is known regarding the building; a newspaper article from about 1907 states simply that “in 1856 the Methodists built quite a nice church on this lot which was dedicated by the Rev. Dr. Bartine of the Philadelphia Conference, which stood until 1888.” The building was razed. The M.E. Church replaced the building erected in 1856 with a more elegant structure which still stands at 20 N. Main St. This brick, 36 by 68 foot sanctuary was built by Clinton D. Smith, a Baltimore contractor. This building served the Bel Air M.E. congregation for almost 80 years, but not without change. In the early 1900s a Sunday School room was added behind the sanctuary. During the years from 1905 to 1908, the cherry pews were replaced with oak ones in the popular curved arrangement of the times. Continued membership growth justified the erection of a new education building behind the church in 1956. The first floor of this 70 by 32 building contained large Sunday School rooms (some were shared with the Tiny Tot School), a choir room, and a pastor’s study. Six Sunday School rooms, a Sunday School office and a large assembly room comprised the second floor; the basement contained a large room (Fellowship Hall) for activities. After the congregation moved to the new church at 21 Linwood Avenue in 1968, the old Fellowship Hall was used as a coffee house. In 1970 the buildings and land at 20 N. Main St. were sold to Harford County. 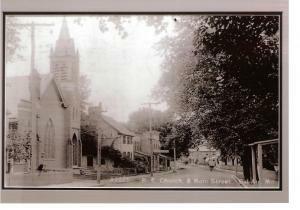 The Bel Air Methodist Protestant Church worshipped in the Union Church in the Masonic Lodge from 1830 until 1885 when a wooden frame M.P. church building was completed on N. Main St. on part of the parsonage lot obtained in 1866. It was destroyed by fire in 1908. The frame N. Main St. church building was replaced by a structure built of embossed concrete block, which was an innovative construction material at that time. Church services were held in this building until 1943. 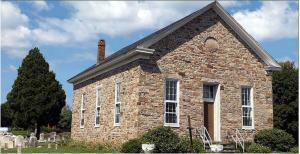 The Grace church building subsequently housed the Harford County Library for a number of years, beginning in 1946. It was raised on March 26, 1973. Located on the northwest corner of the intersection of Old Emmorton Road and Wheel Road, this church building was solidly constructed in 1865 of stone, with a slate roof and shuttered windows. Inside, the plastered walls were graced by a beautiful wood ceiling. A chandelier holding eight oil lamps illuminated the church, along with lamps at the six side windows, until the early 1940s when electrical service was added. This small, sturdy building housed the congregation until 1954 when the Mt. Carmel Church merged with the Bel Air United Methodist Church at 20 N. Main Street in Bel Air. The trustees of the church in the years since 1954 had shown the wisdom and foresight to maintain the church and cemetery. 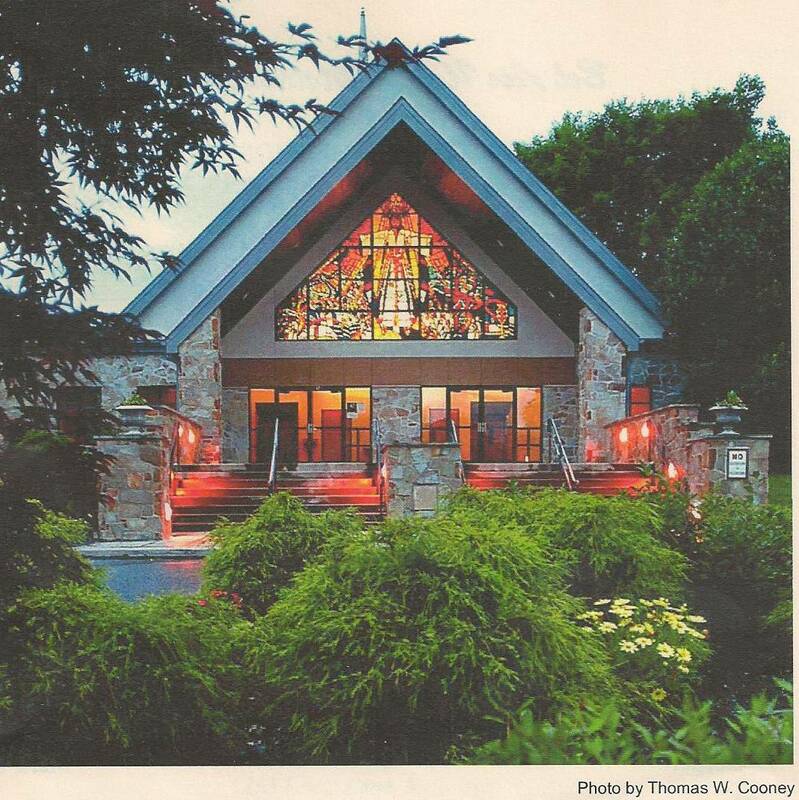 In November 1993, the church was officially reopened by hosting the Bel Air United Methodist Church Thanksgiving Day Service at 10:00 AM. In July 1962, nineteen subcommittees were appointed to study the growing needs of the Bel Air Methodist Church. By 1965, the congregation voted to go forward with the construction of a new, larger church building on 6.9 acres of land at the southeast corner of Main Street and Linwood Avenue. Construction began in January 1967 and the cornerstone was laid on April 28, 1968. On May 19, 1968, the congregation assembled for the last time at the old church building. Prior to singing the final hymn of the service the people left and “closed” the old building, walked in grand procession to the new building and “opened” it, and sang the hymn in the new Bel Air Methodist Church. Each person carried an item from the old church in a real and symbolic transfer of church homes. The first service was held in the new building on May 26, 1968.